If you need a beautiful, ultra-durable, non-slip chemical tolerant floor paint with genuine industrial credentials, look no further than Kingfisher's easy to use water-based Epoxy Floor Paint. We understand that finding a floor system that is sturdy and long-lasing while withstanding intense conditions can be challenging. Standard floor paints typically flake and peel but not this product. The Kingfisher epoxy coating for concrete creates an industrial grade satin-sheen finish which is incredibly durable and easy to keep clean. Perfect for: garages, factories, warehouses, schools, healthcare facilities, veterinary surgeries, kennels, milking parlours, showrooms, workshops and many other areas. 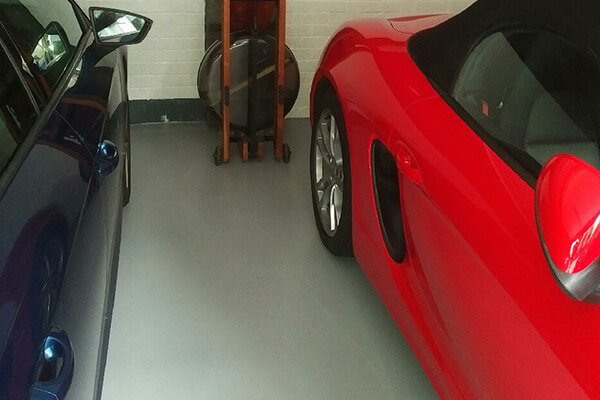 Kingfishers epoxy garage floor paint offers excellent abrasion resistance, making it the perfect choice for high traffic areas where pallet trolleys and fork-lifts are operating. For concrete floors, our high-quality epoxy resin floor coating provides you with a smooth gloss finish and outstanding durability. 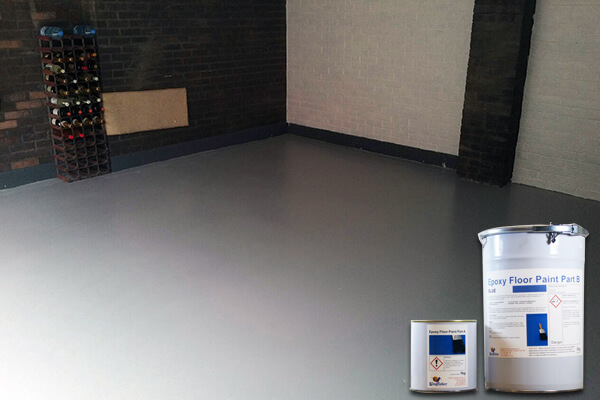 It is perfect for dust proofing, sealing and protecting while improving the floors resistance and appearance. Our wealth of experience manufacturing epoxy products for concrete floors ensures a long lasing end product that is cost effective. 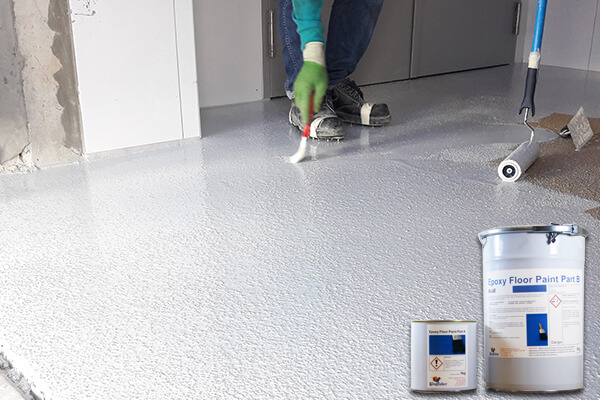 Being water-based and non-taint, Kingfishers Epoxy Floor Paint minimises disruption when applied in food prep areas, medical and animal environments with its signature low odour characteristics. It can also be easily applied over existing floor paint, helping to save you time. 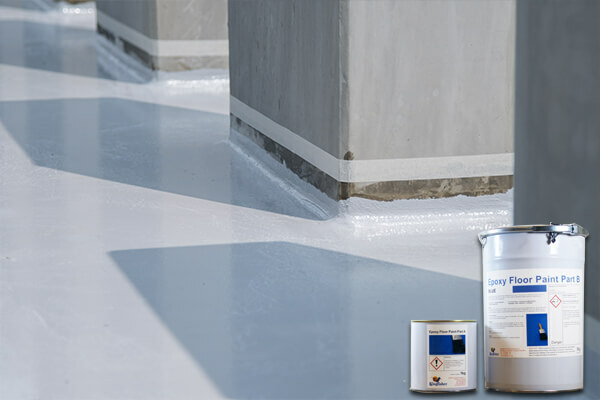 Using epoxy coatings is gaining in popularity due to its reliability and its range of application. 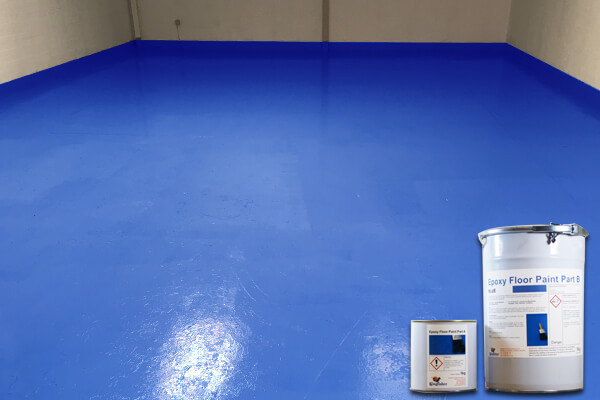 Whether you need an industrial floor paint or an epoxy garage floor paint, this product is second to none. This product contains no dangerous solvents, so you can rest assured of its application in occupied areas. The two-part system is easy to use: simply pour the A part into the generously sized B container, stir thoroughly and apply by brush or roller. Clean-up is simple with warm soapy water. We applied this to our fleet workshop floor in November and it is a huge improvement over the old floor paint which always flaked off (still looks good 6 months on). Not cheap but seems to be much tougher and doesn't go soft when petrol or brake fluid spills on it. Prompt delivery and good technical advice. Now applying to our despatch area.